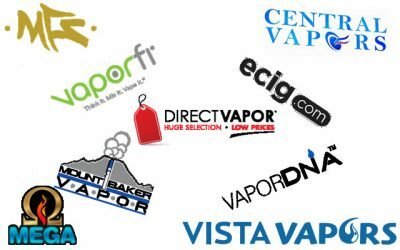 First, let’s cover what vaping is and what it is not. Vaping is the process of heating up an e-liqid (or any substance) to the point where it turns into vapor. Once the e-liquid transforms into vapor, you can pull it into your mouth or lungs. It's awesome because it doesn't produce anywhere near the amount of chemicals and carcinogens as smoking. A recent study has shown that vaping indoors doesn't negatively impact the air quality of your home. Now let's be clear about this, vaping is not smoking. A lot of people call vapor, “smoke.” Those two words are not interchangeable. Smoking is the process of lighting dry material on fire and inhaling the carcinogenic byproduct. When you smoke, you are inhaling tons of carcinogens and chemicals which could cause cancer. Vapor is a safer way to deliver nicotine to your body (2). When you get your first kit, you need to know how to operate it properly. If you just wing it, you could end up damaging or breaking it before getting the chance to enjoy it. When this happens, people get turned off from vaping because they think it’s too complicated and not as good as smoking. While smoking does have less of a learning curve, this couldn't be further from the truth. Vaping is fun and easy once you get the basics down. It’s like riding a bike, start with training wheels until you have the basics down. Then you can take off your training wheels, upgrade, and ride anywhere. DO NOT fire the pen until you have successfully primed the coil. This is surprisingly easy to do, but many people still burn their coils because they didn't know they had to prime it first. Easiest way: Fill your tank with e-liquid and inhale on your drip tip three times without firing. Let your full tank sit for at least 10 minutes. And just like that, your coil is now primed. This is the absolute most important thing for you to do once you get your new vape pen. If you do not prime the coil, you will burn the cotton and ruin the coil. Your device will give off a nasty taste if you burn the wick and your juice will taste like crap. If this happens, all you have to do is replace the coil and you're back in business. Your device will not be ruined, just the coil. But since you're reading this, you will never make this beginner mistake. You can use this method if you don’t want to wait 10+ minutes to use your new pen, or you can combine both of the methods to be extra safe. Unscrew the base of your tank and expose the coil. Drip your e-liquid directly on the cotton. Put three to four drips right down the center of your atomizer. Add another two to three drips on each wicking hole. The rule of thumb is, keep dripping e-juice on the cotton until it stops absorbing it. You might have to do more or less than two to four drops, just make sure you do enough so the cotton becomes fully saturated. After the cotton is fully saturated, your coil is officially primed. At that point, all you have to do is put your tank back together and fill it up with e-liquid. You can draw on your mouthpiece a couple times without firing to help pull the e-juice into the cotton even more. You don't have to, but I always do it and recommend you do it to. It only takes a second and ensures you protect your coil. 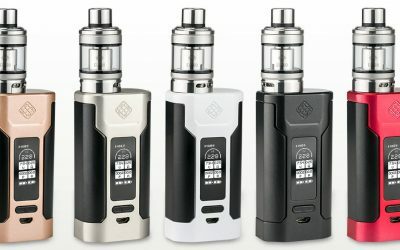 There is a little device inside your tank called an atomizer (aka “atty”). 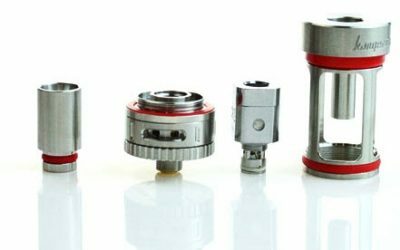 The atomizer is one of the most important parts of your device. There are two pieces of the atomizer that you want to get familiar with, the coil and the wick. When you fill your tank up with e-liquid, the wick becomes saturated with vape juice. The coil is wrapped around the saturated wick. When you fire your pen, the coil gets scorching hot. The hot coil vaporizes the liquid contained inside the wick. When you inhale, you are drawing the vapor that was just created by the coil heating up the e-liquid. Depending on how much you use your device, your atomizer will last anywhere from 1-3 weeks and can last even longer for light users. 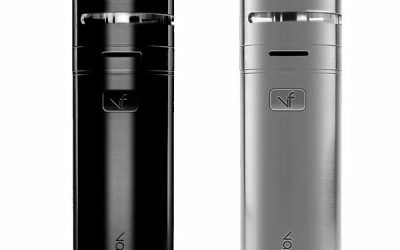 When the atomizer starts getting worn out, you will be able to tell by the flavor your vape pen is giving off. The flavor will start to change and become less enjoyable. 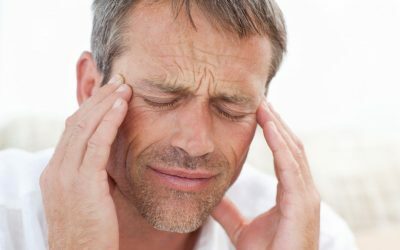 Once you get used to the delicious flavor of your vape juice, you’ll know when it’s a little off. That’s when you should change your atomizer. Changing the atomizer is straightforward and easy. The replacement coils are cheap, and some starter kits come with a plethora of replacements. It will only cost you a few bucks to buy a pack of replacements. Just unscrew the old one from the base of the tank and screw in the new one and you’re good to go. There are a wide variety of battery capacities and sizes to choose from. The most basic kits will come with a battery around 650mAh. That's pretty small for a battery. To put it in perspective, your cell phone battery is probably around 2,000mAh or more. The upside to the 650mAh battery is its size. If you are looking for something that is very small and easy to pocket, these little batteries are perfect. But if you want a device that will last all day, you're going to need to go bigger. Actually, we recommend you go bigger anyway because 650mAh won't last you very long. Some of the bigger devices have batteries around the 1,300mAh mark. These will last twice as long as the 650mAh batteries. They're bigger but not overly huge. They are still in the shape of a pen and are pretty pocketable. Some starter pens can have up to a 3,000mAh battery. Those can be pretty chunky but they're powerful and can give you amazing vapor production. 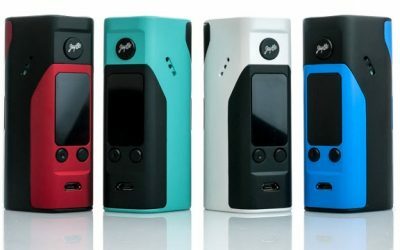 For the longest battery life, you’ll want to get a box mod. 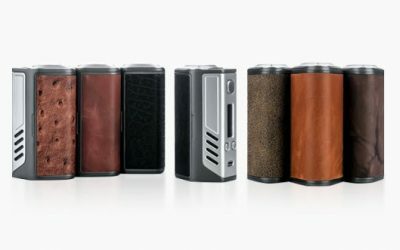 Box mods are the ones that are shaped like little rectangular boxes. They have a wide range of battery capacities and can last all day with ease. 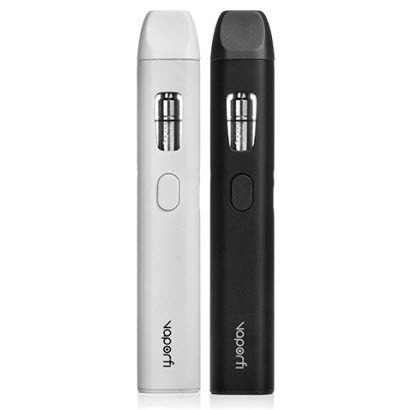 Mods also have removable batteries so you can carry an extra pair of batteries with you, extending your range without having to stop and recharge. 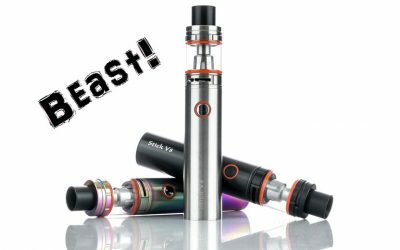 In the broadest use of the word, the tank is the part that holds the e-liquid. Some are refillable; others are not (i.e. cartridges). If you buy a disposable e-cig, it comes with a cartridge instead of a tank and it's not refillable. 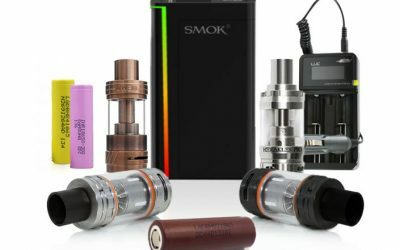 But if you buy a vape pen or box mod, you will be able to refill your tank with thousands of different e-liquid flavors. 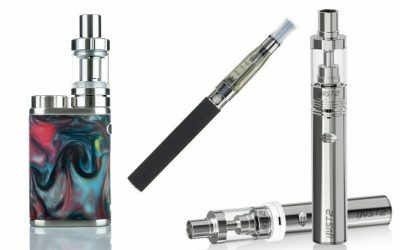 The variety of e-liquids is one of the best parts about using devices with refillable tanks and a huge advantage over smoking. Cigarettes leave you smelling like crap. Vaping is the exact opposite. 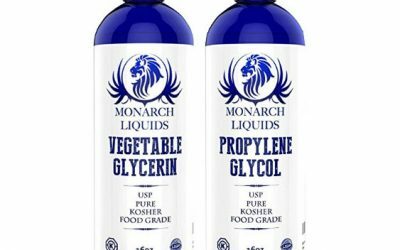 It leaves a pleasant smell and taste in your mouth, thanks to wonderfully flavored e-liquids. 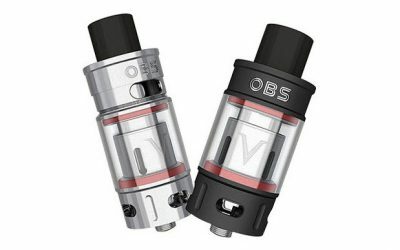 If you are the type of person who loves to switch up flavors a lot, you definitely want to have a refillable tank. The bigger your tank is, the longer it will take you to use it up. 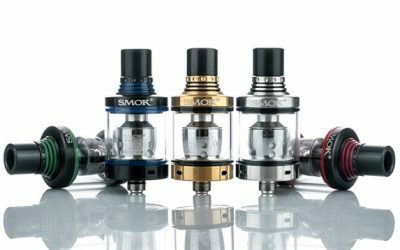 If you like to switch flavors, you should get a smaller tank or buy several tanks so you can swap them out. The downside of smaller tanks is that you will have to refill them several times throughout the day. So if you’re out and about, you’ll have to bring your e-liquid with you to refill your tank when you run out. If you have a larger tank, you won’t have to worry about running out as long as you top it off before leaving the house.